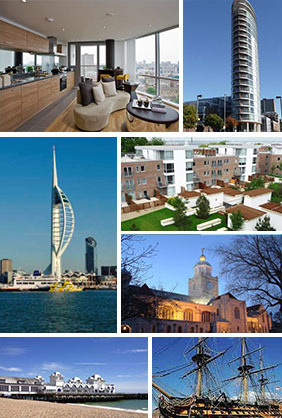 Admiralty Homes are leading independent property professionals for Admiralty Quarter – We are the only on site estate agent with specialist divisions dedicated to flats, houses and prestige & waterside homes covering Gunwharf and the Old Portsmouth area. For flats in Admiralty Quarter to buy and to rent, Admiralty Homes in association with The Flat Agency are the specialists. We are estate agents whose core business is sales, lettings and property management. Click to view available properties or call us today. We are celebrating some wonderful feedback – 100% of landlords would use us again and 92% would recommend us! Admiralty Homes and The Flat Agency wanted to know how landlords found our services. So we ran an online survey. This infographic shows the results.